Step into spring with the Apothecary in Bloom exhibition at the 1752 Apothecary. See how flowers are used to decorate objects that were designed to improve wellness throughout history, such as fans, perfume bottles, and faux flower arrangements. Your senses will be drawn to bright, floral patterned pieces that accent the austere shop’s shelves and walls. Florals have long been in the veins of medicine and design, with flowers both inside the medicine bottle and on its label. Guests will have the chance to view this exhibition during Historic Bethlehem Museums & Sites’ 24thAnnual Rooms to View House Tour on Saturday, June 4, 2016. Discover the incredible history these floral artifacts share with medicine and wellness while enjoying a colonial-inspired menu at the wine and cheese Apothecary Garden Reception, included in the House Tour ticket. Apothecary in Bloom was curated by Katelyn Winter, an intern working under Historic Bethlehem Museums & Sites Curator, Lindsey Jancay. Winter is a sophomore Dana Scholar majoring in English at Muhlenberg College. 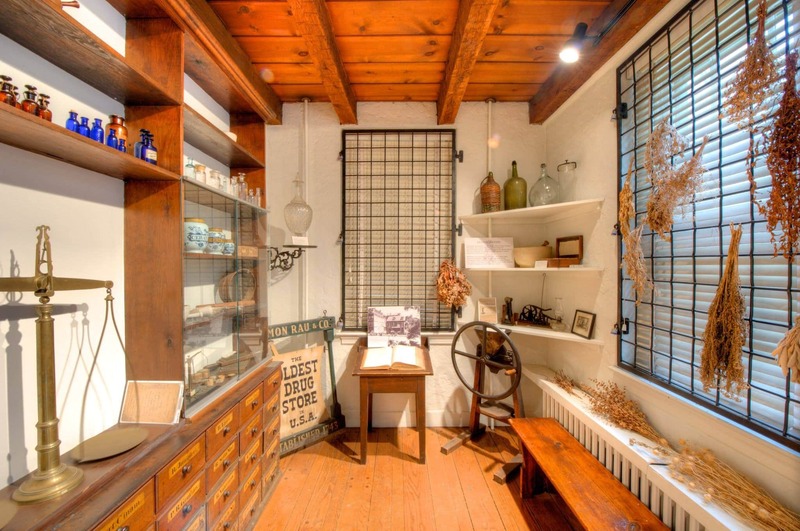 Visitors can also schedule tours of the Apothecary Monday - Thursday and leave on the hour from the Moravian Museum of Bethlehem Friday - Sunday, 11:00 a.m. – 4:00 p.m. Tours of the Apothecary are offered as part of Pass Into History. To schedule a tour, contact the Visitor Center & Museum Store at 1-800-360-TOUR. For more information, please contact Adelle Mantle at amantle@historicbethlehem.org or 610-882-0450 ext. 10.